What are Seniors Looking for when Choosing an Independent Living Facility? As the next generation of seniors begin looking into independent living facilities, it’s important to understand and consider how this generation differs from their predecessors. This group of older adults tend to be more independent, tech savvy, attune to the importance of health & wellness, and concerned with sustainable living. As experts in senior living commercial design, our primary goal is to make residents feel at home. That’s why we take the time to truly understand what it is seniors look for when choosing an independent living facility and modifying our designs to fit their needs and interests. With over 25+ years of experience in the commercial design industry, here are some of the top things we’ve identified that seniors look for when choosing an independent living facility. The design and style of the community should make the resident feel comfortable. It should not only reflect current design preferences in their region, but it should truly make the resident feel at home. That’s why some communities are even offering homelike settings with small bedrooms and common areas. Other facilities specialize in small condos so seniors still have a sense of independence. This generation of seniors wants to feel safe and taken care of in their new home. While technology has been widely used to help residents stay connected, it can also be used to enhance security with non-evasive surveillance thereby ensuring that residents feel safe in their community. Community is an essential aspect of what seniors look for in a long-term living environment as well as a key trend in senior living design. This next generation of seniors value their independence and connection not only within the facility but outside to the larger community as well. They want the ability to connect with one another at onsite fitness centers or tech lounges as well as have the freedom to go enjoy off-site events like shopping or dining. Since many seniors today value their health, wellness, independence and technology, amenities have become increasingly important. That’s why many senior living centers now offer multiple dining options, social clubs, onsite lectures, cyber cafes, and even dog parks. 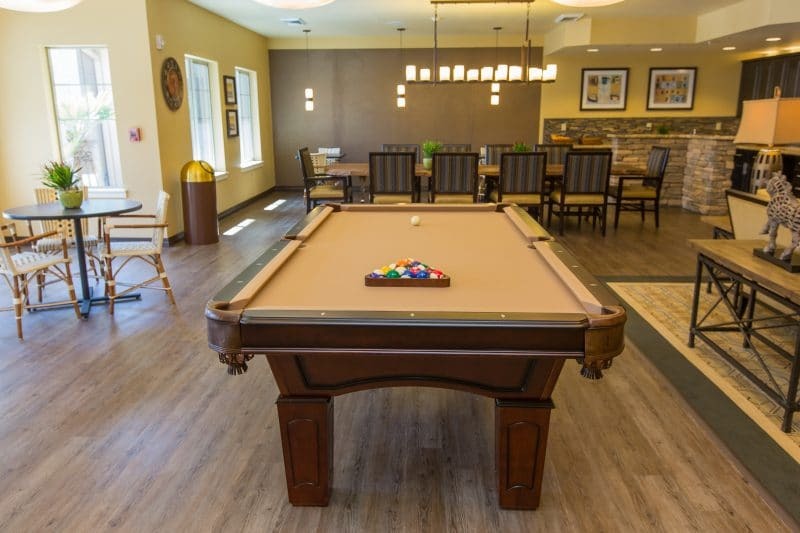 All of these amenities help the resident have more freedom, connection, and comfort in their long-term care environment. As seniors age, they want to be confident that their long-term living facility can offer them care services. Whether it be for short-term illnesses or more assistance as the resident ages, care services are a critical offering. Unbundled services have also started trending as they allow residents to pick and choose what types of individual care services they need. Whether you are looking into a senior living environment, redesigning one, or starting to build, it’s important to understand what is important to this next generation of residents. At Warner Design Associates, we keep the concerns, interests, and wants of seniors today in mind when designing independent, assisted living, and memory care facilities. Our focus is always on providing familiarity and comfort so that residents truly feel at home. View our portfolio here.